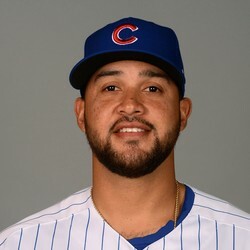 Francisco Arcia went 3-for-4 with a home run, two doubles, six RBI, and two runs scored Saturday against the Mariners. Arcia has had quite the debut for the Angels hitting two home runs with 10 RBI in his first two major league games. The 28-year-old catcher has never shown much power in the minors so this looks to be flukey. Fantasy owners may want to use Arcia in DFS formats to take advantage of his hot spell.